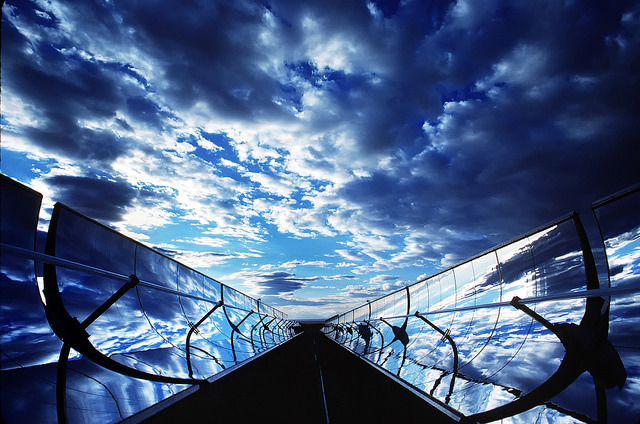 A New Mexico sky is reflected in the curved mirrors of a parabolic trough, used to focus energy on a long glass tube, Sandia National Laboratories. US Department of Energy, US government work. This guest post from Sue Jinks-Robertson describes a personal experience with the NIGMS MIRA program. If you wish to share your perspective on MIRA or any other topic of interest to the GSA community, please consider authoring a guest post; send your ideas to blog@genetics-gsa.org. The MIRA applications were reviewed in October 2015, but neither funding decisions nor funding levels were available until mid-February 2016. By that time, it was too late to submit any revisions/competing renewals for the spring deadline. The good news is that I was awarded a MIRA; the bad news is that the budget is the equivalent of ~1.7 of my small grants. That translates into a “non-negotiable” 25% cut in my average funding level over the past 4–5 years. I’ve heard anecdotally that budget cuts range from 12–50%, and my attempts (to understand how funding levels were determined has been unsuccessful. Some labs can absorb the budget cuts, while others will be forced to reduce personnel. As all of my support has been from GM, I’m squarely in the latter category. So, what will the MIRA do for me? It will give me some stability, as advertised, but instead of a lab of ~6 supported by GM, I now can afford a lab of 2–3. While some may say this is consistent with the promise of “somewhat less support,” it’s actually a severe disruption for my program and will result in a forced downsizing. Being in a Medical School, I’m still expected to recover at least 50% of my salary, so a budget cut directly translates into reduced personnel. What really bothers me the most about the whole process is that I’ve been painted into a corner by the policies and procedures of the first round of MIRA funding. If I turn the MIRA down, I’ll be facing at least a year of running off a single, small R01. If I accept the MIRA, I’ll be left scrambling for additional support outside of GM, which means the promised respite from writing proposals has evaporated. Whether any of the programmatic themes included in the MIRA application can even be used as the basis for a grant elsewhere within the NIH is unclear. Although several changes have been made in the latest MIRA announcement, they do nothing for me. The institution of the one-grant MIRA model and its associated budget cuts is “mission accomplished” for GM: more researchers can be supported as MIRA recipients are forced to look elsewhere for funding. To others who may be considering putting in a MIRA application, I hope you can learn from my experience. In the end, I had no viable option other than to accept the MIRA and try to move forward. 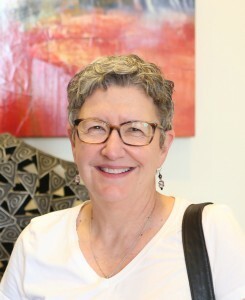 Sue Jinks-Robertson, PhD, is Professor of Molecular Genetics and Microbiology and director of the Cell and Molecular Biology Program at Duke University School of Medicine, where she uses S. cerevisiae to study the pathways that regulate mitotic genome stability. She currently serves as GSA Treasurer.